Whether you are looking for lifestyle enhancement, weight loss, or are looking to improve your own independence, C.O.R.E. has the knowledge and the experience to help you accomplish your goals. The C.O.R.E. after 50 program is a customizable training routine brought to you by our Restorative Exercise Specialists designed to help you maintain your active lifestyle. With our Restorative Exercise Specialists you will gain energy and get stronger. You'll reduce your pain and lower your blood pressure. You'll prevent or delay chronic illnesses which are commonly associated with inactivity such as diabetes or heart disease, as well as the other limitless health improvements that come along with an active lifestyle and optimal physical health. Stronger muscles will help you move safely and efficiently so you can continue the activities you enjoy. You will be able to keep walking, biking, playing with your family and grandchildren, and living independently. Muscle strength also preserves bone density to prevent osteoporosis and improves balance at any age. When you feel tired or like you have little energy it is easy for inactivity to set in. Regular aerobic exercise increases your ability to take in and use oxygen, which then produces energy and increases stamina. With improved endurance your health wont be something that stops you from living as active of a life as you want. It also reduces the risk of heart disease, high blood pressure, stroke, diabetes, and obesity. C.O.R.E. has developed unique balance training programs and equipment designed to improve muscle strength, stamina, flexibility, and good sensory feedback. Improvement in balance helps to significantly reduce your risk of falling or injury. Our flexibility training programs are designed to improve posture and range of motion. Good posture when standing and walking also helps prevent falls, and improved flexibility helps rid the body of stiffness and makes moving and staying active easier. Our Restorative Exercise Specialists will help educate you on how to make smart nutritional choices outside of C.O.R.E.. Your Restorative Exercise Specialist will provide you with smart eating options and how the food choices you can make will affect and optimize the training you do at C.O.R.E..
1. A comprehensive subjective and objective evaluation. 2. A completely customized training program based on your specific fitness level and goals with an emphasis on effectiveness, education, and safety. 3. 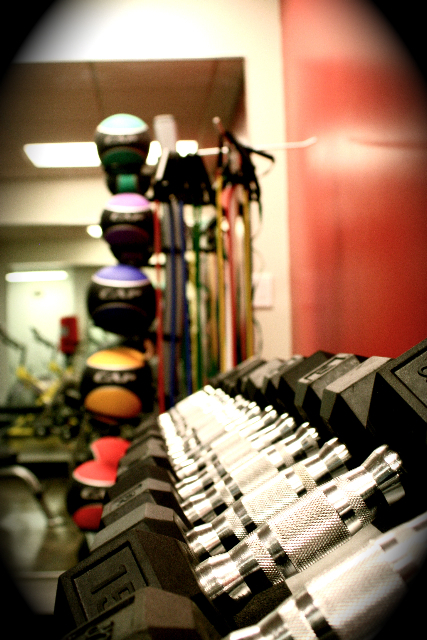 One on one training and guidance to help you reach your personal fitness and activity goals. 4. Education from your Restorative Exercise Specialist to help you lead an active lifestyle both inside and out of C.O.R.E. 5. Nutritional guidance so that you can make informed choices about your diet. If you are interested in finding out more about our C.O.R.E. After 50 program or to schedule an evaluation please call us at 818-718-CORE (2673) or contact us below.